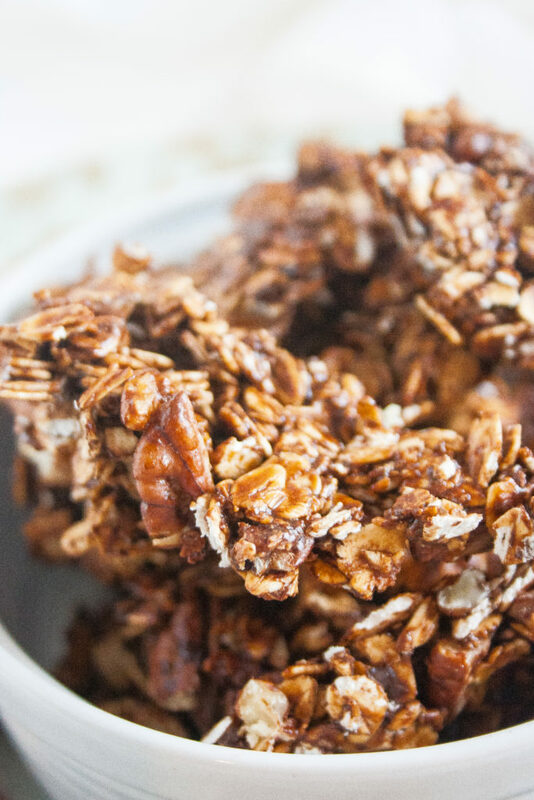 Healthy Chocolate Granola. 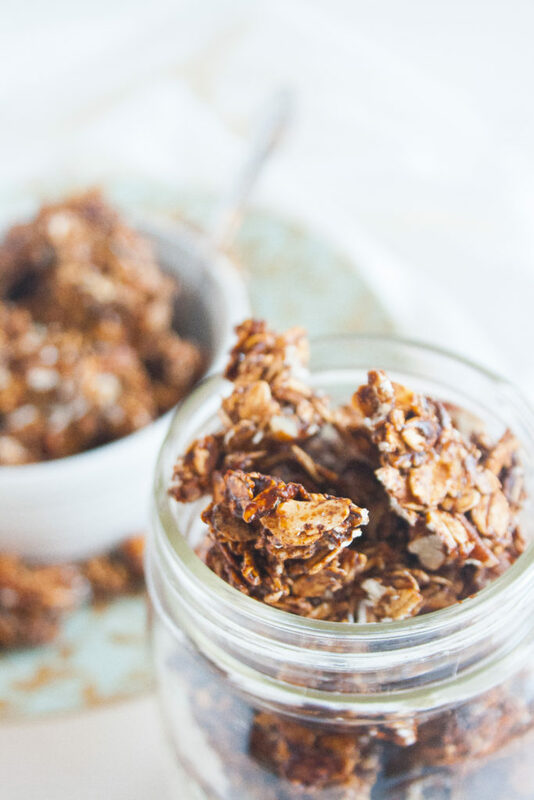 Low sugar all natural granola given a nutritional boost with the addition of protein powder! Easy one bowl recipe. One of the most depressing things ever is opening up a fresh bag of granola to find it’s all in a bunch of small crumby pieces. 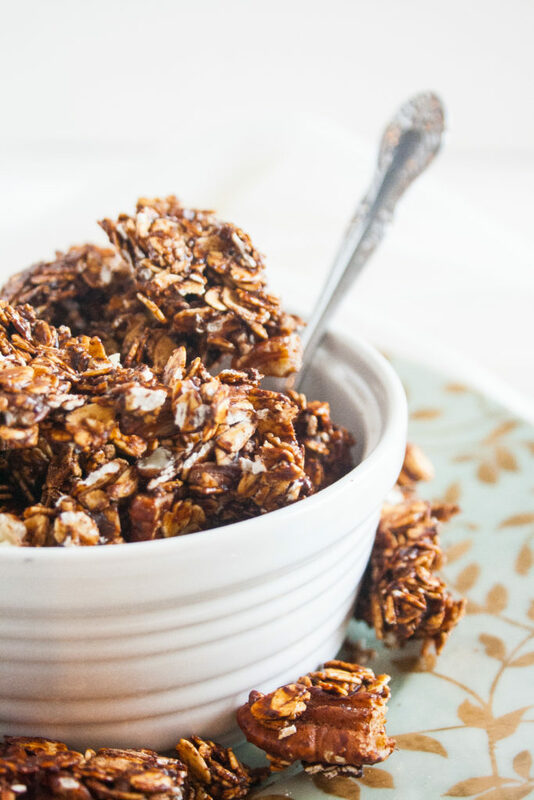 I don’t know about you all, but I love my granola to be in LARGE crunchy chunks! And most of the time to achieve that large chunk effect – lots of sugars and oils are added to the recipe, which is delicious, but not always the healthiest. Enter this recipe: a healthy, low sugar, high protein, recipe that achieves the large chunk effect through the healthier medium of liquid egg whites! 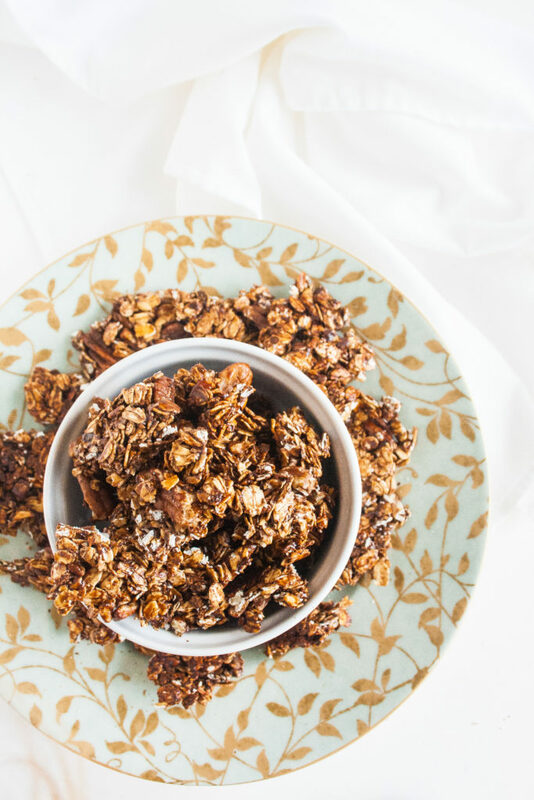 This granola has a delicious, deep chocolate flavor complemented by just a hint of sweetness from the honey and nuttiness from the pecans. It’s mildly sweet in flavor, but if you prefer sweeter granolas feel free to add an extra tbsp or two honey to your taste preference! Preheat oven to 300º F. Line a baking sheet with parchment paper or a silpat. In a large bowl, stir together all ingredients until evenly mixed. Spread the mixture onto the prepared pan, pressing into an even layer. Bake for 30 minutes. 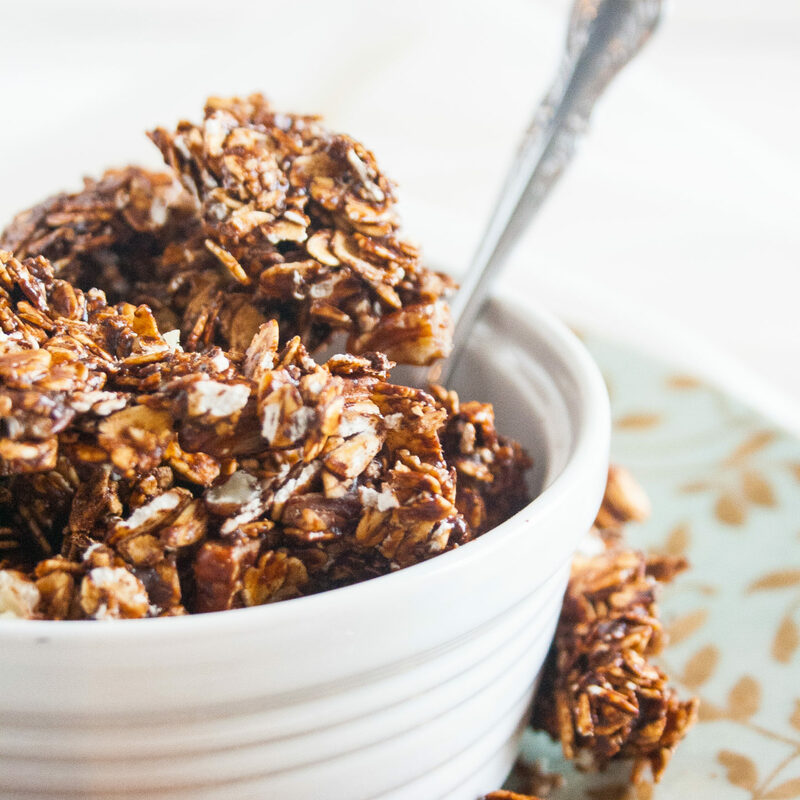 Let cool and then break granola into desired chunk size.